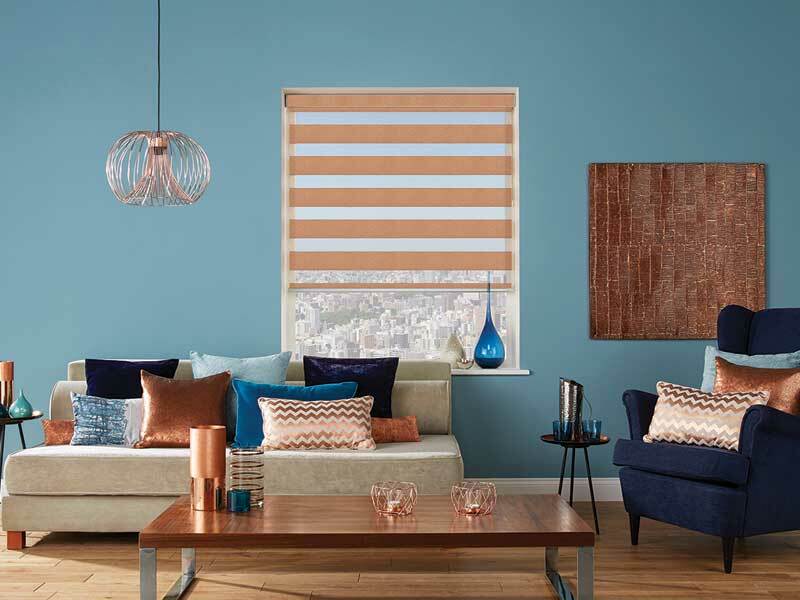 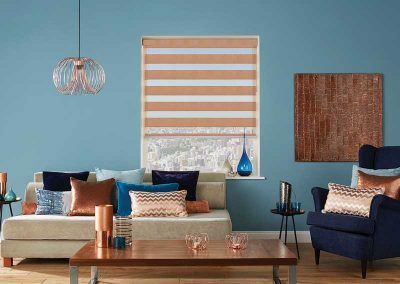 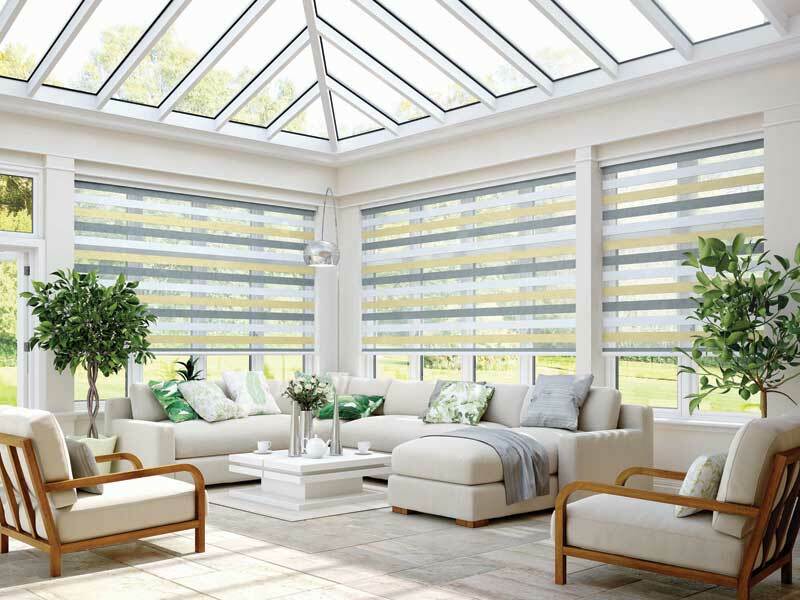 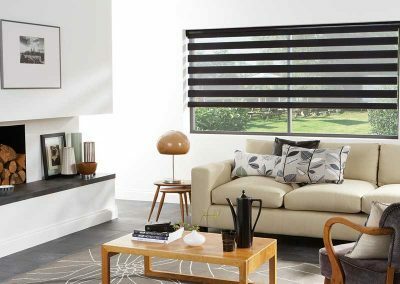 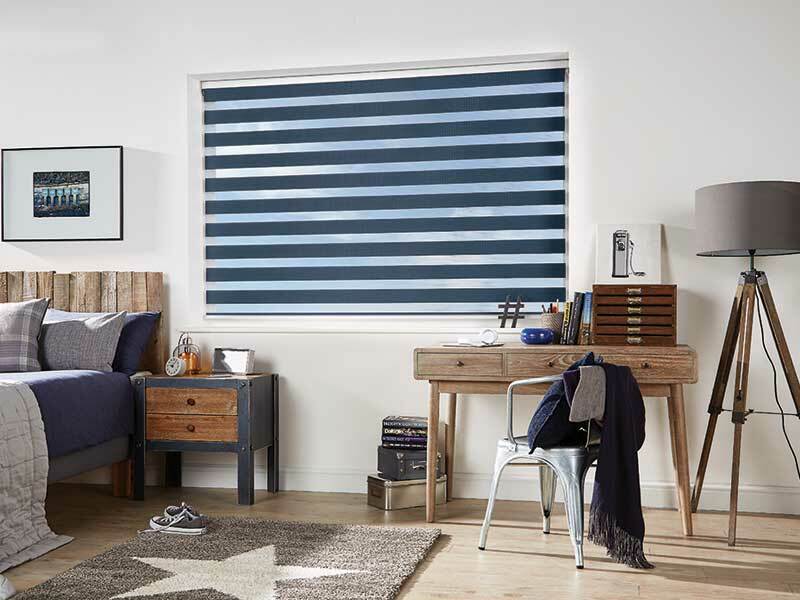 Vision blinds are an innovative window furnishing that feature two layers of translucent and opaque horizontal striped fabric that combine to create a striking modern feel. 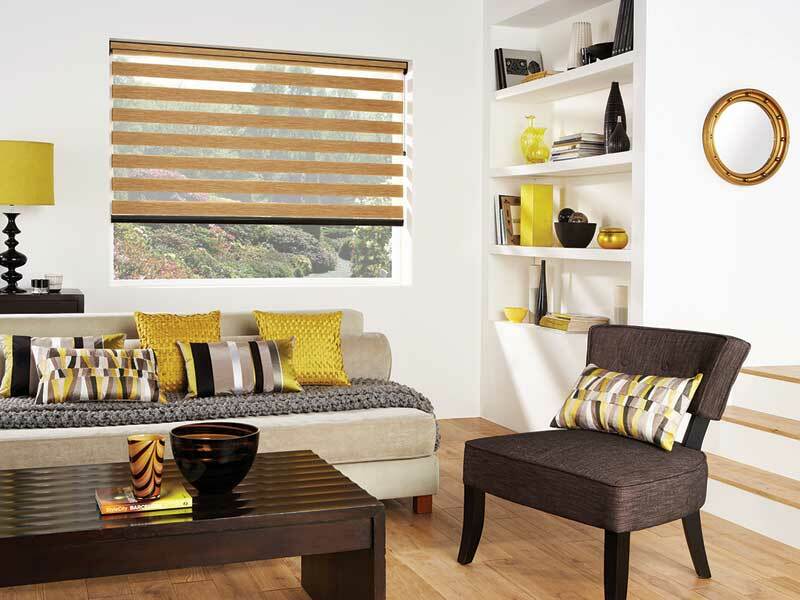 The brand new Louvolite Vision Blind allows you to easily switch between subtle light diffusion and dim-out. 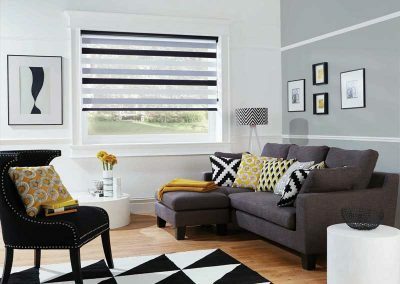 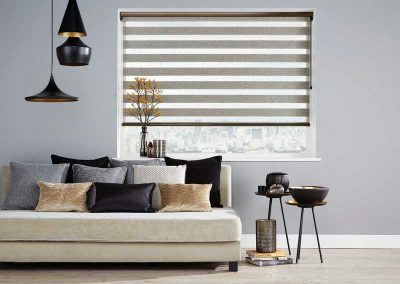 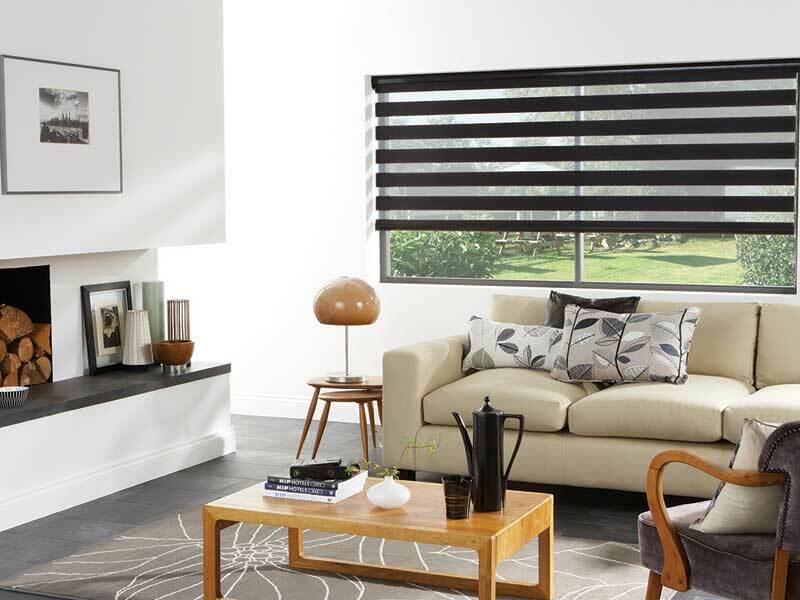 This elegant roller blind incorporates sheer and black horizontal panels that will look stylish open or closed and can be instantly adjusted for varying light filtration. 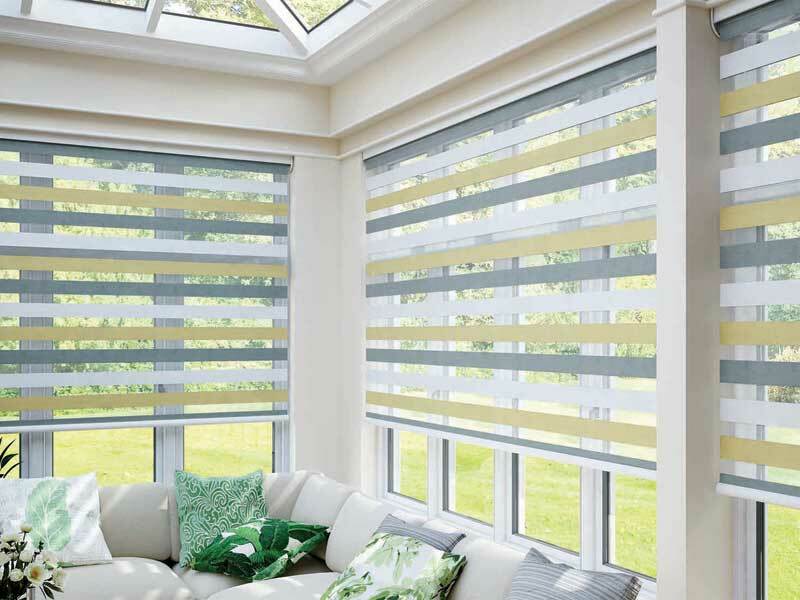 The blind is available in an open or closed cassette with matching bottom bar. 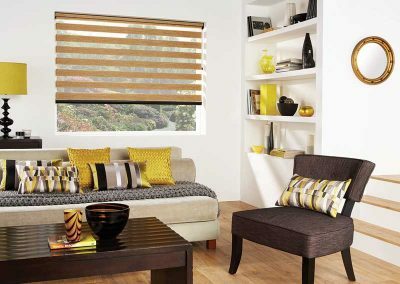 There is a single strip of striped fabric that is doubled up. 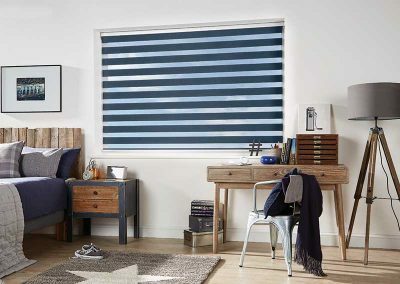 The bottom bar allows for the double layer of fabric to pass through, so that you can line up the horizontal panels to display either the darkened sections or the dark and opaque panels alternately. 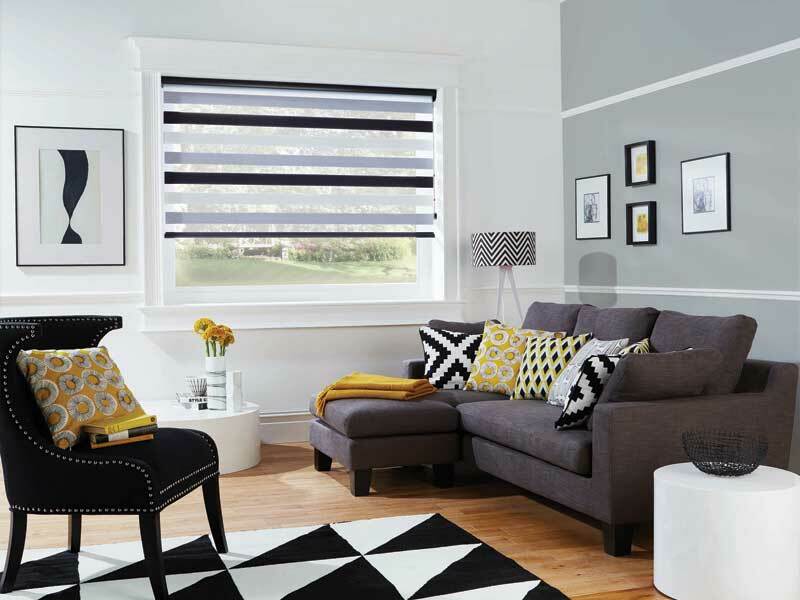 The Cassette Headrail and bottom bar comes in a choice of white or Black. 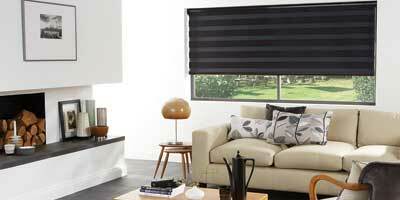 Chrome, Black and white Control Chain choices to finish Control Light Levels and Privacy. 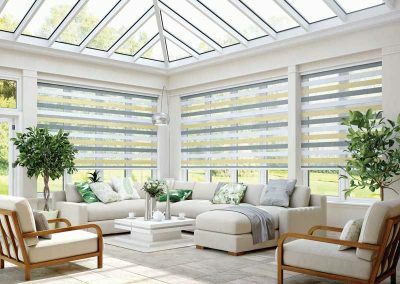 Ideally suited to most windows in your home, the opaque panels can be opened to allow a subtle light to diffuse into your room. 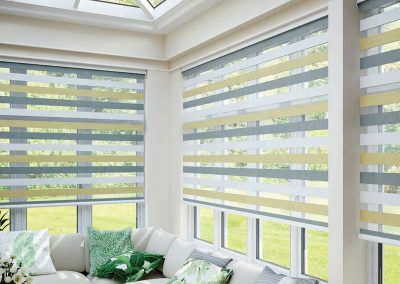 The blind can be raised for unhindered views of your outside area or the blind can be dropped and panels closed to provide total privacy. 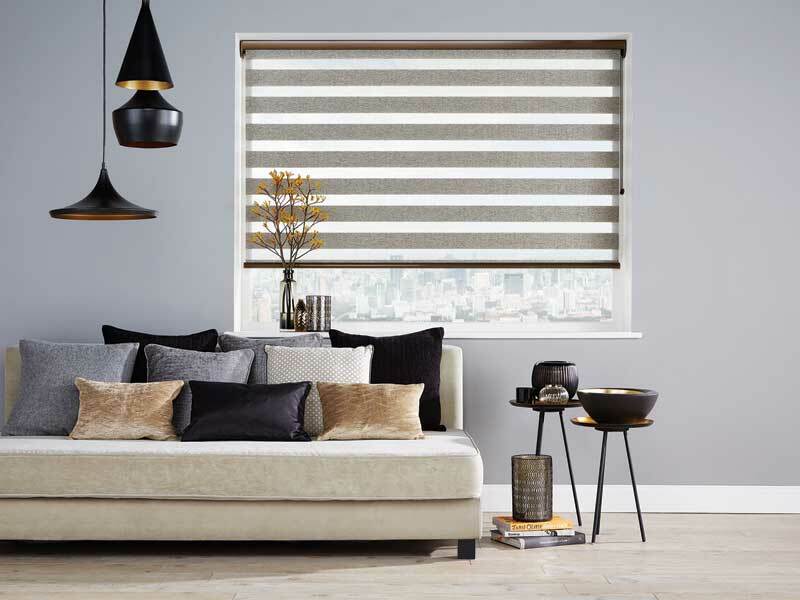 Buy The New Vision Blind at Your Blinds We have now added this wonderful new blind to our catalogue and can produce it made-to-measure.